Our shop has the expertise to handle any engine configuration from the earliest 356 1950s original-stock two-piece case engine, to the complex 4-cam Carrera engine, to modern fuel-injected conversion engines. We run our engines on one of our two in-house 300 or 400 horsepower Stuska Dynos. 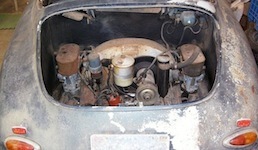 GK Restorations also rebuilds carburetors, 4-cam fuel pumps, and other specialty engine parts. We have an in-house flow bench for work on heads and carburetors. 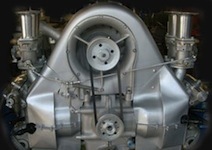 Learn more about our custom-designed engines for Porsche 356's and the GK1950fi on our Fuel Injection page.